"Oaces are the Northwest's No.1 tribute to the phenomenal five piece rock 'n' roll legends Oasis. 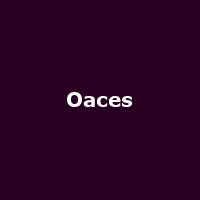 Oaces came together after the dust settled on Oasis's career to try and recreate a bit of the illustriousness hedonism and rock 'n' roll history left behind. With epic songs from each defining album from Oasis's back catalogue, close your eyes and recapture the freshness of Liam's raw indie tones and Noel's swirling guitar riffs down to the finest detail. It's just like being back in the day when the excitement was building and you knew you were listening to the biggest band in the world."